TCA is amazing The best appliance service I have ever had Ryan Josh and Tim the office staff all around were professional pleasant and on time Way to go!!!! We had a problem with two of four new appliances. Ryan was sent for the first repair and Josh for the second. They both arrived on time infact Josh was actually a bit early. Both gentlemen were professional, they explained what was wrong and how they would make the repairs. Now we have a problem with a replaced appliance before before we have a chance to use it. The machine is making a starnge noise. 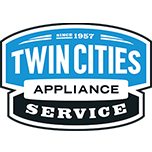 I called Twin Cities Appliance and spoke with Tim in service who was able to walk me through what he felt is wrong. A third tech is scheduled to be here Monday. It seems that Twin Cities appliance could double as the manufacturers quality department. They have been an absolute pleasure to work with and as much as I hope Monday will be it. I will always feel confident calling on them and referring them to any family member or friend in need of appliance service. Work was done in a quick, efficient manner by an extremely personable young man. I have an extended warranty so the price was right! Very courteous, friendly and competent. He was a wonderful young man that was cordial and diagnosed the problem immediately; made the fix and moved on to his next repair. Long drive-short service call-found problem immediately. Though not their fault, covered everything under guarantee for no charge. Great service from Josh,he was friendly and courteous, great job! REFRIGERATOR KITCHENAID KUDF204ESB00 "Icemaker arm extension hitting drawer and sharp edges of stainless bin is shaving plastic off extension into bin. Ordering bin, arm and extension ; ordrng 1 W10281546 (arm-shut) and 1 W10772926 (extension) and 1 W10789535 (drawer)"
DISHWASHER JENNAIR JDB9000CWS3 Seal had pulled out on the left side. Seal was still in perfect shape. Reinstalled seal and it seated firmed. Ran through diagnostic test and all checks out ok with no leaks. MICROWAVE JENN-AIR JMW3430DS02 "Customer having issues with panel blanking out, WiFi server connection issues, and touch response need to order panel ; ordrng 1 W11236885 (PANEL)"
REFRIGERATOR KITCHEN-AID KSSO42FMX01 "Replaced faulty control with new style board kit, allow 24 hours for temps to stabilize. All operations tested ok at this time." REFRIGERATOR KITCHENAID KFIS29PBMS02 "Ff evap iced up completely not defrosting would suggest ff evap thermistor with harness, fan, evap cover with top screws added to cover thermistor secured to evap tubing with zip tie and ui control customer has center point plan. Advised customer that after work is done and unit thawed out monitor temps and if doesn’t cool down can call us back since it’s possible unit has silver evap and sometimes after defrosting silver evap can develop a leak." OVEN JENN-AIR JJW2830DS01 Installed new u/I and tested.